I decided to change my lifestyle since the turn of the year and love the idea of becoming healthy and raising money for a great cause. I decided to challenge myself by taking part in a 10k run, to raise money for Square Mile India. Square Mile India is close to my heart as I am of Gujarati origin and have visited the ashram on a number of occasions. 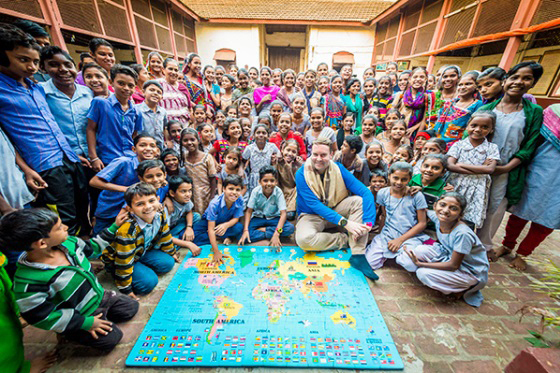 I have seen first-hand the great work that the Square Mile India team has done, and I hope the money I raise will help them to continue to make a difference to the lives of these vibrant and amazing children. Please donate to this great cause which is close to my heart! If you select this reward level I will send you an update on my progress and run time after I have competed the race! If you select this reward level I will send you an update on my progress and run time after I have competed the race and add you to the Square Mile India newsletter mailing list.